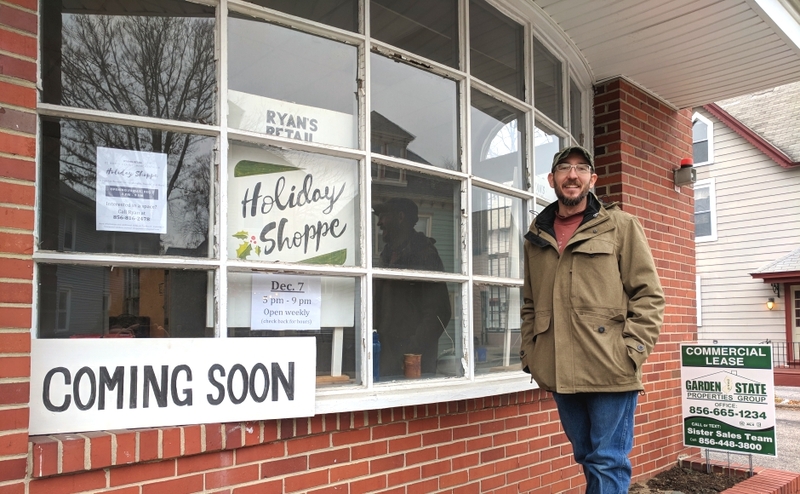 Ryan Middleton of Merchantville stands outside the former borough post office, which he's transforming into a new retail space. Credit: Matt Skoufalos. Former urban planner Ryan Middleton is looking to reactivate his block, one dormant property at a time. The former Merchantville post office at 22 N. Centre Street. Credit: Matt Skoufalos. For a facility that’s fallen on hard times, the building at 22 North Centre Street in Merchantville still has a great deal of presence. Few clues to its former life as a borough post office remain, save an exterior loading dock with freight doors. Inside, the stepped-up lobby opens into a 4,000-plus-square-foot receiving room that comprises the bulk of the space, belying a surprisingly deep lot. Middleton, a former city planner in the Dallas-Ft. Worth suburb of Frisco, Texas, came to town about six years ago, with his wife, Stephanie, a Haddon Township native. The couple settled into an empty Victorian home, converted its first floor into a retail space, and moved in upstairs. Their second acquisition was the abandoned building next door. After a new roof and a new interior, it now houses two more small businesses—Spirit to Sole Connection and Merchanvtille Antiques and Salvage—and three residential apartments. Ryan Middleton sits in the former manager’s office at 22 N. Centre Street. Across the road behind him are two other properties he’s rehabbed on the block. Credit: Matt Skoufalos. For his third trick, Middleton’s hoping to change the fortunes of the former post office across the street, a dilapidated-yet-funky structure on which he’s had his eye for some time. Like the others, returning it to active use is an entrepreneurial pursuit that also has civic aims. “I’m buying the buildings that aren’t functioning the way they should,” Middleton said. 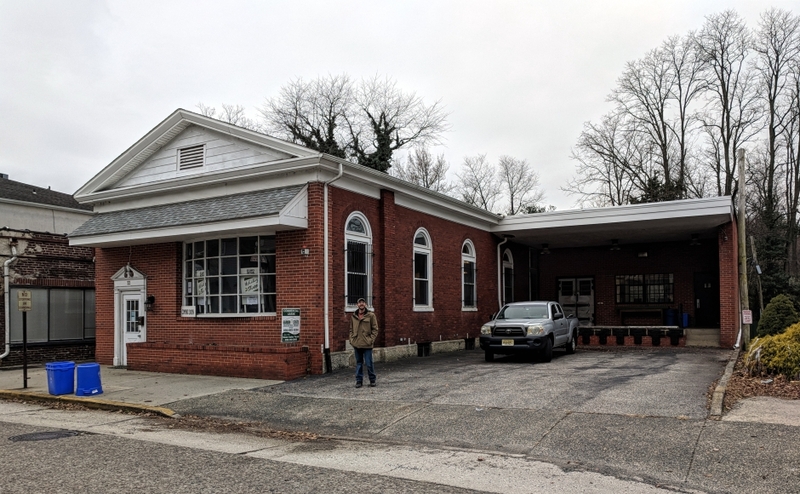 Middleton sees the biggest challenges to the continued development of the Merchantville downtown as related to its limited commercial capacity. 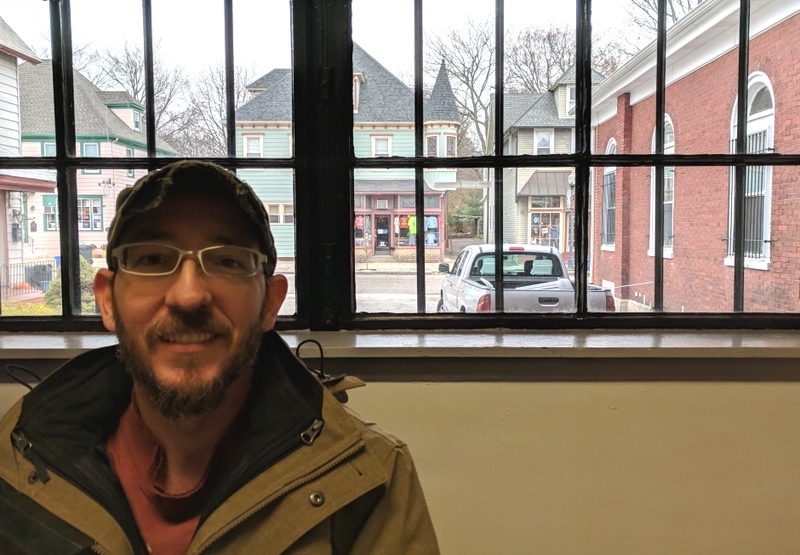 Just as he revived the borough farmers market by volunteering to coordinate it, Middleton is hoping to lend the business district more economic energy by activating dormant properties in his Centre Street block. “In the past five years, there’s been way more success than failure,” Middleton said, ticking off additions like The Station Cafe, Eclipse Brewing, and Charlie’s Crepes. 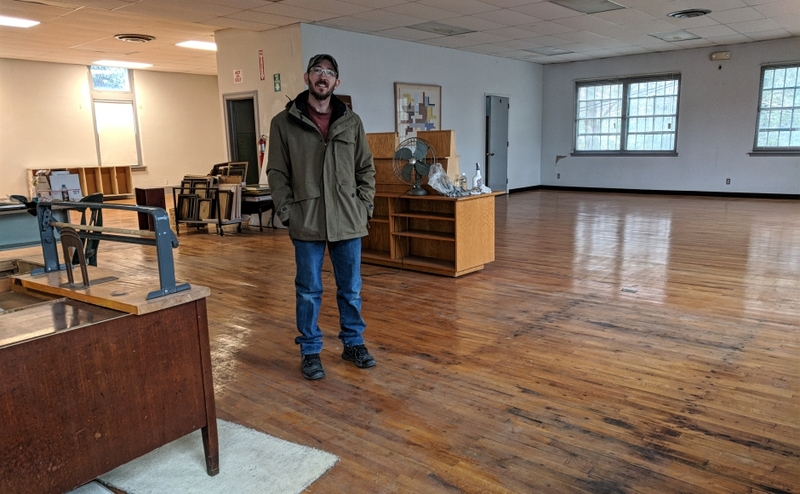 Ryan Middleton stands in the center of the former Merchantville post office. Credit: Matt Skoufalos. In the meantime, the building at 22 North Center is operating as Ryan’s Retail, an open-concept pop-up space. Vendors from the Merchantville Market Off-Centre roster will kick off seasonal shopping from 5 to 9 p.m. December 7, in concert with the borough holiday parade. The shop will keep weekend hours throughout the month; then Middleton plans to rent the building through January. He foresees potential temporary uses, such as a commissary for home-based food businesses, a flexible space for yoga or private events, or possibly a maker space. Whichever tenants he lands, Middleton said he’s committed to reinvesting all revenues into the building for the next five years. 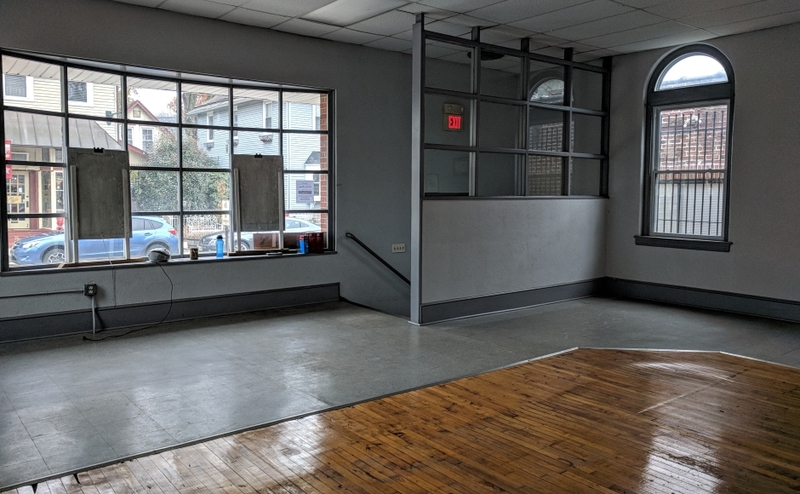 Future plans could include a second floor, possibly some offices or apartments, maybe even a smoker or live music setup out on the loading dock. “It’ll be basically a space for small business owners that can’t afford to do brick-and-mortar yet,” Middleton said. Lobby of the former Merchantville Post Office at 22 N. Centre Street. Credit: Matt Skoufalos. With major redevelopments still on a distant horizon—the borough entered into a preliminary agreement with Viking Associates for a proposed, 88-unit, mixed-use development in its downtown—Middleton hopes that small, steady, rooted growth will usher in longer-lasting change. At the least, he said, he’ll keep making whatever difference his own resources allow for. “I don’t know if it’s going to be successful, what I’m doing, but I’m going to keep doing it,” he said.